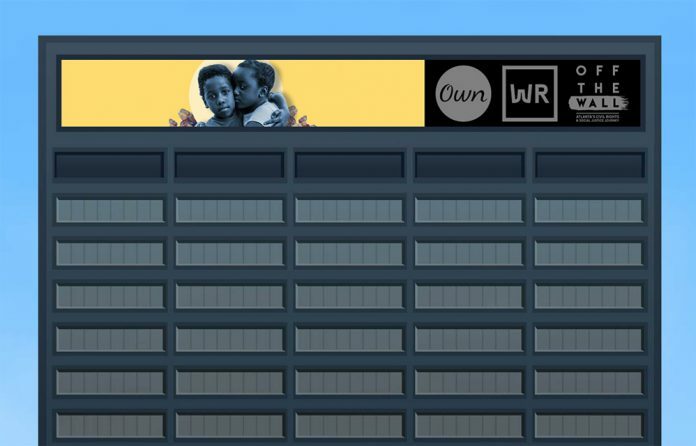 Formetco, the nation’s leading outdoor advertising manufacturer and supplier, partnered with Georgia’s Own Credit Union and DeNyse Companies to complete a custom installation of the two largest digital building-top signs in the Southeast. Placed 432 feet above ground, the two LED video display boards measure 20 feet tall by 174 feet wide and are the first of this magnitude in the region. The project was complex and required multiple teams, engineers and industry experts. Lifting the display materials to the desired locations required specialized helicopter assistance and commercial-grade hoists secured from the building’s rooftop. Due to the risk associated with the work involved, Formetco held daily safety meetings to ensure the highest-level of worker safety. DeNyse Companies, a full-service architectural and commercial signage company, led the project alongside Georgia’s Own Credit Union and worked with Formetco, Skanska and Zeller Realty Group to ensure a successful installation. Formetco supplied two identical LED video display boards for placement on either side of the 100 Peachtree building. Both were strategically positioned to leverage the unique visibility the building offers. The not-for-profit display boards are scheduled to feature community-oriented messages, promote charitable events and support the city of Atlanta’s growing business landscape and entertainment endeavors. For information regarding the content currently featured on the newly installed sign, visit https://www.georgiasownsign.com/. 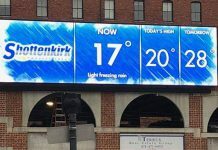 Since 1968, Formetco has researched, designed, and developed thousands of innovative out-of-home products including cutting-edge digital displays, billboard hardware and safety equipment. Owned by the same family since its founding, Formetco is proud to be the only supplier and manufacturer to have served the outdoor advertising industry for the past fifty years.